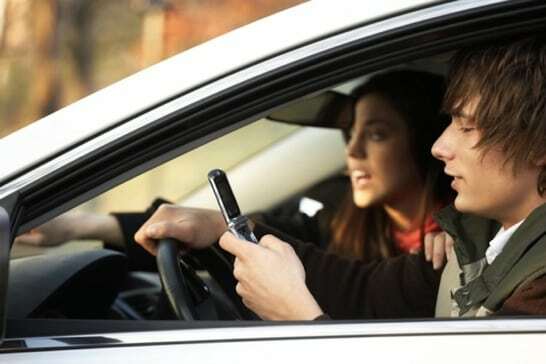 If you’ve been out and about around Maine this spring, you’ve probably noticed a dramatic increase in enforcement efforts and public awareness campaigns aimed at cracking down on distracted driving. Despite these efforts, distracted driving in Maine continues to pose a serious problem; teens in particular are well known for leading this alarming trend. A more effective solution to this problem may lie within the primary source of distracted driving itself: technology. Dr. Beth Ebel of the University of Washington is an expert on distracted driving. She and her colleagues have conducted a study on how technology installed in cars and in cellphones may help reduce serious injuries and deaths caused by distracted teen drivers in Maine and across the country. “Facts and figures have not done enough to change driver behavior,” said Dr. Ebel. Dr. Ebel’s team evaluated 29 teens for six months. The teens were divided into three groups, two of which were subjected to intervention technology aimed at curbing dangerous driving habits. The first group drove with an in-vehicle camera system. The system was activated when it noted dangerous driving events, such as hard braking, swerving, hard cornering, and impacts. The teens and their parents had access to the video footage to review mistakes and learn from them. The second group had a program installed on their cellphones that blocked all incoming and outgoing texts and calls during operation of the vehicles. The third group was the control group. All three groups had a monitoring program installed on their phones that quietly collected information about cellphone use during vehicle operation. After six months, the team analyzed the results and determined that the first two intervention groups had fewer high-risk driving behaviors and reduced cellphone use. The greatest improvement in driving behaviors was seen in the group with the program that blocked cellphone use during driving. The study also revealed that none of the participants had attempted to disable the technology. The in-vehicle camera system and cellphone blocking program are both commercially available. However, it’s up to parents to implement these programs to keep their teens and others on the road safe from distracted drivers. Curbing these life-threatening behaviors may require a multifaceted approach. Last year, Gov. Paul LePage acknowledged that more needed to be done to address this serious problem, beyond ticketing distracted drivers. Gov. LePage promised to introduce new legislation that would implement stricter consequences, such as license suspension. In his announcement, Gov. LePage noted that more than 8,000 auto accidents and 41 fatalities had occurred over a three-year period because of distracted drivers. Since 1976, the Maine personal injury lawyers at Hardy, Wolf & Downing have been fighting for justice on behalf of local families. If you or a loved one suffered injuries due to the negligence of a distracted driver, you can count on our accident lawyers to guide you through the litigation process. During your complimentary, no-obligation consultation, we’ll review your case, explain your legal rights, and offer recommendations. Should you choose to proceed, we’ll file a lawsuit on your behalf to demand that the negligent party be held accountable. Call 1-800-INJURED today with any questions you may have about your legal options. Do I Need a Personal Injury Specialist? How Much is My Claim Worth?